If you ever forget your password or need to reset it for any reason, all it takes is a few clicks. 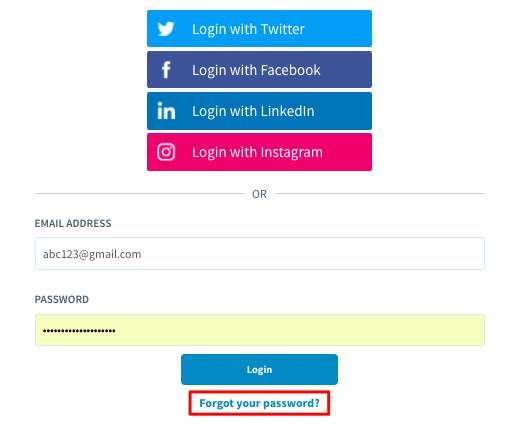 For continued access to SmarterQueue, you can also use social login to access your SmarterQueue account. 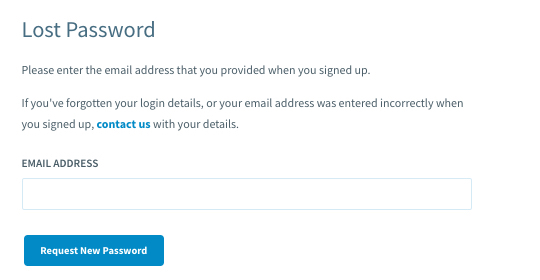 If you’ve already set a password for SmarterQueue, you can change your password from the Login page. Here, click Forgot your password? You’ll be prompted to enter the email address associated with your SmarterQueue account. Click Request New Password. You’ll receive information to your email address on how to finish resetting your password. You can also use https://smarterqueue.com/lost_password to reset your password.